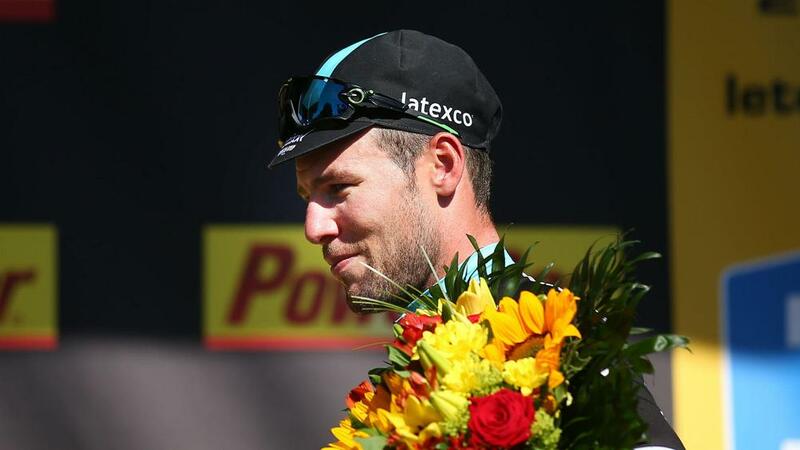 Britain's Mark Cavendish claimed the famed yellow jersey for the first time in his career after winning a dramatic first stage of the 2016 Tour de France on Saturday. The 31-year-old Dimension Data rider clinched his 27th Tour stage victory by edging out German Marcel Kittel (Etixx - Quick Step) and Peter Sagan of Slovakia (Tinkoff) in a thrilling sprint finish, with Kittel's countryman Andre Greipel (Lotto-Soudal) and Belgian Edward Theuns (Trek - Segafredo) rounding out the top five. A strong tailwind in the finishing straight was expected to suit the bigger riders such as Kittel and Greipel, but Cavendish dug deep to claim a victory rendered all the more impressive by the fact that he was forced to overcome a puncture suffered earlier in the stage. "It's phenomenal," he told ITV4. "It's a big goal. We came here with the hope of doing it. "We wanted this. There is no bigger icon in cycling than the yellow jersey. "I do this for my Dimension Data team, the continent of Africa and to try and get 5,000 kids on bicycles. "To win a stage is incredible and to pull on the yellow jersey is an honour I've not had before. "It's going to be a special day tomorrow. I'm quite emotional." The 198 riders were forced to contend with a strong sea breeze for much of the 188km route between Mont Saint-Michel and Utah Beach Sainte-Marie-Du-Mont. And there was further discomfort for two-time winner Alberto Contador, who was involved in a nasty crash at the 107km mark that left him nursing cuts to his legs and shoulder. British rider Luke Rowe (Team Sky) was also unseated in the same crash, while compatriot and team-mate Geraint Thomas was hindered by a puncture and was then involved in a minor collision on the final straight. Defending champion Chris Froome (Team Sky), meanwhile, finished in 25th place.